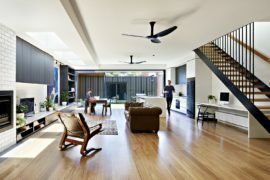 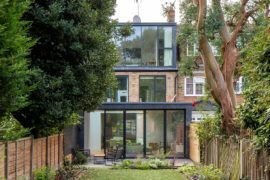 Extending the living area of an ’80s terrace house is a challenging task in itself, but working with an already existing rear extension only makes the project even more challenging. 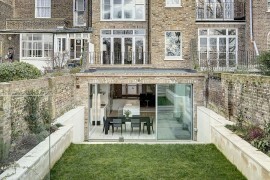 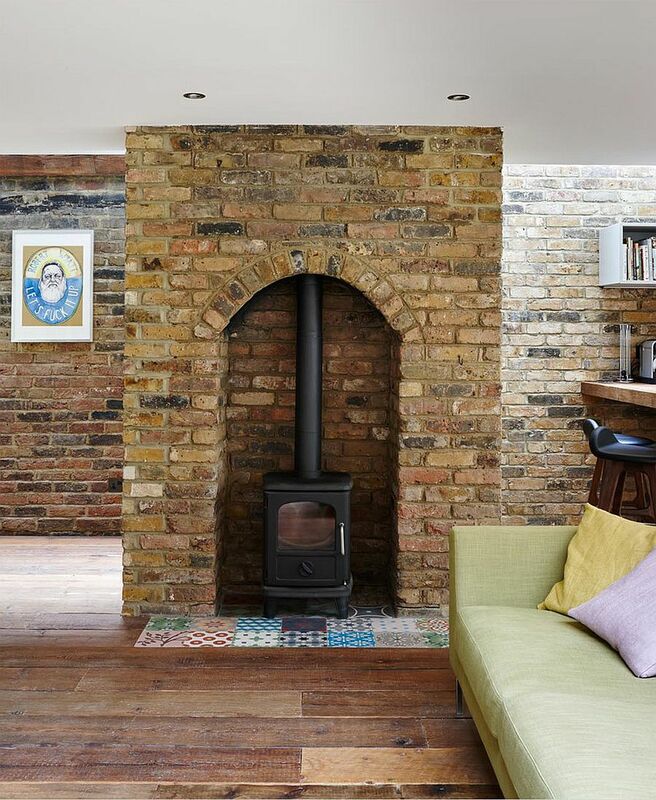 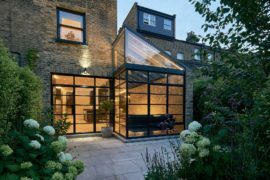 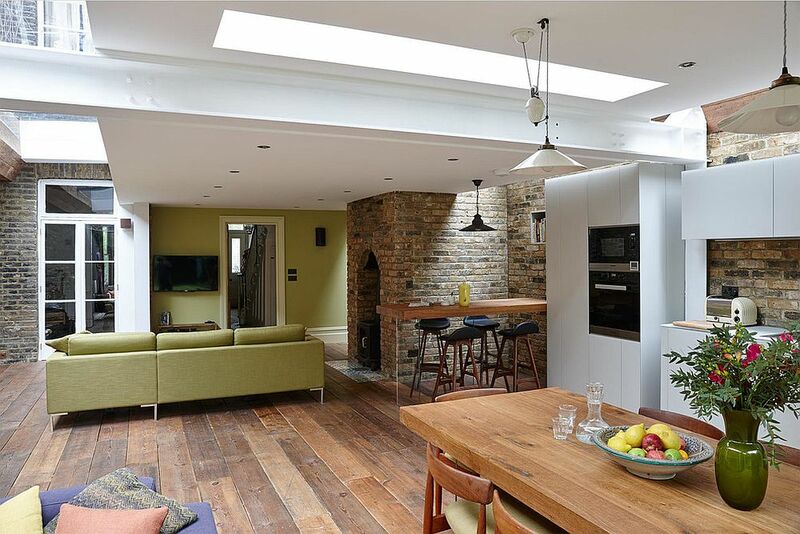 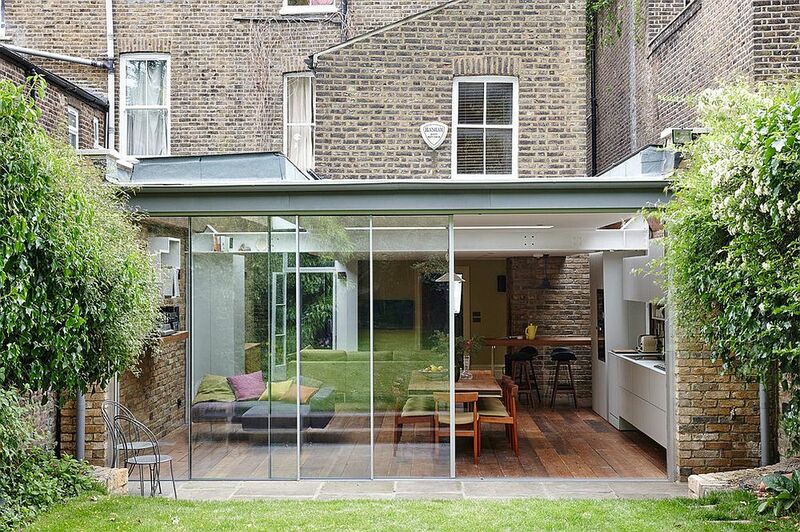 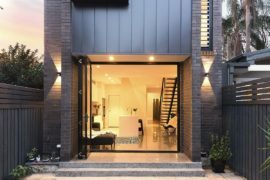 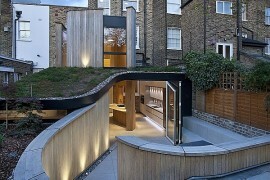 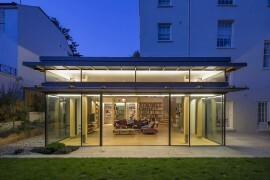 This gorgeous semi-detached house dubbed Lady Somerset is nestled in the lovely neighborhood of Kentish Town, North London, and its smart, contemporary polycarbonate and glass extension opens it up towards the small rear garden with eloquent ease. 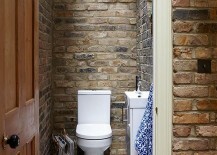 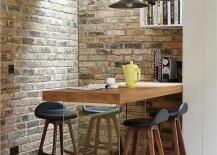 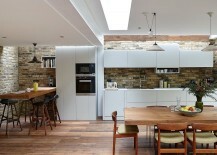 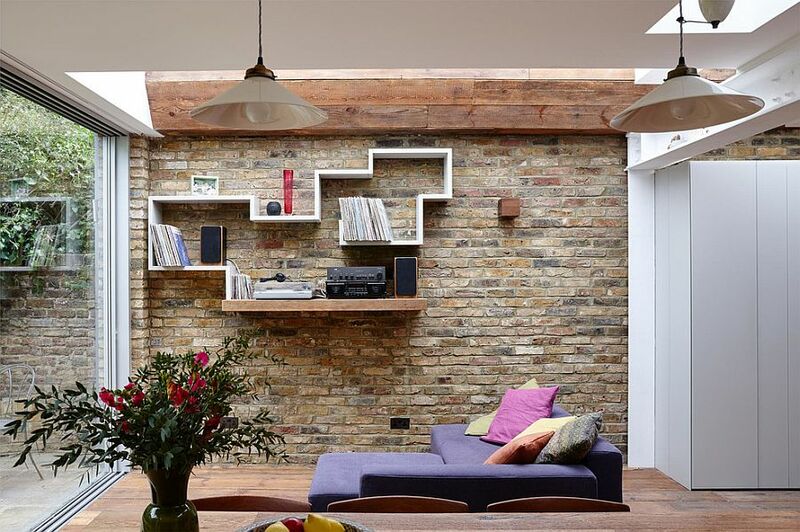 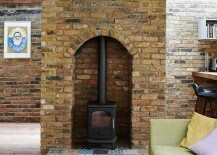 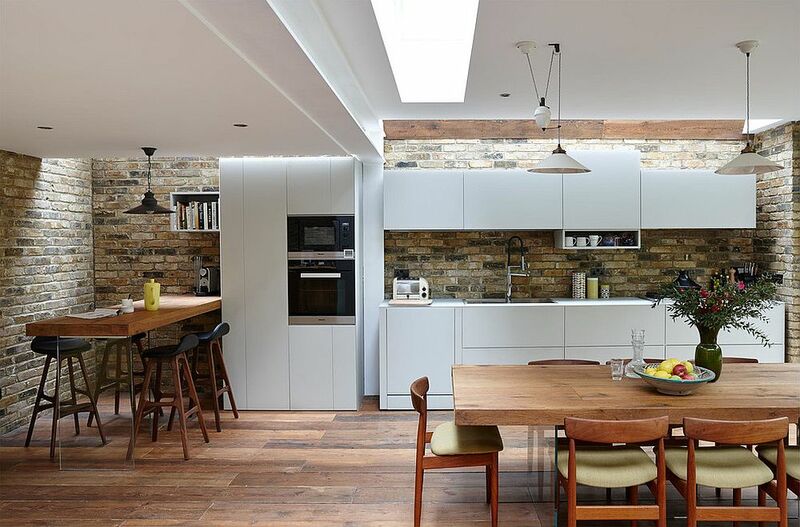 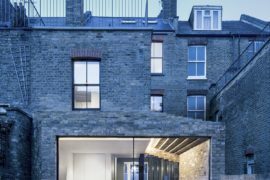 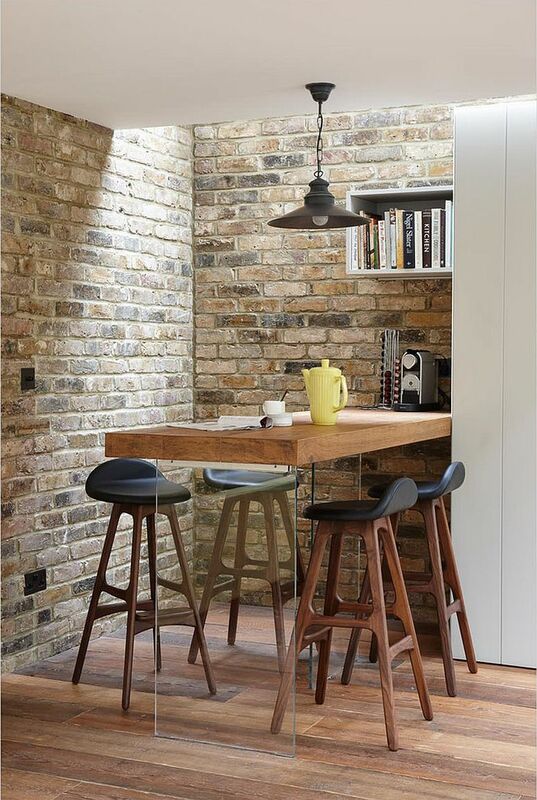 Designed by Martins Camisuli Architects, the original residence largely features exposed brick walls, which add to the beautiful narrative of the extension. 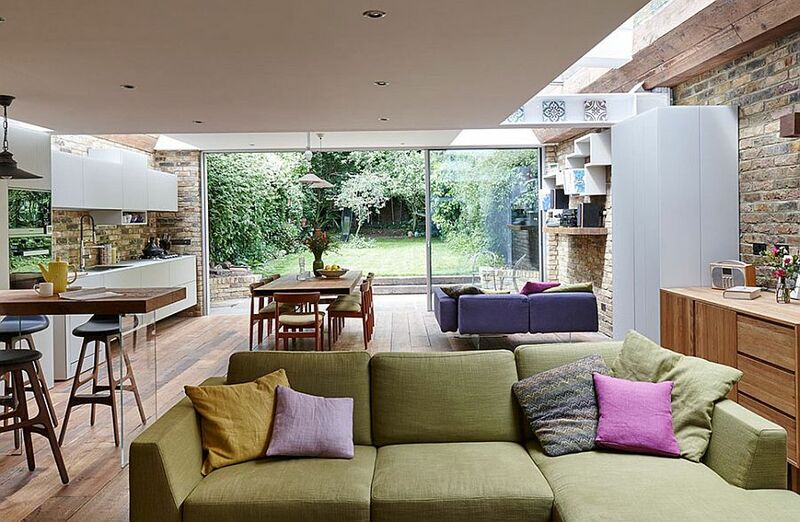 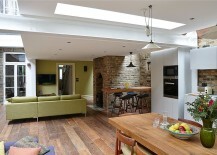 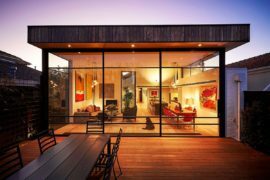 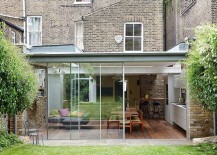 The project replaced an existing internal courtyard with a greater usable living area while adding a lovely kitchen and dining nook that utilizes the available space in a smart fashion. 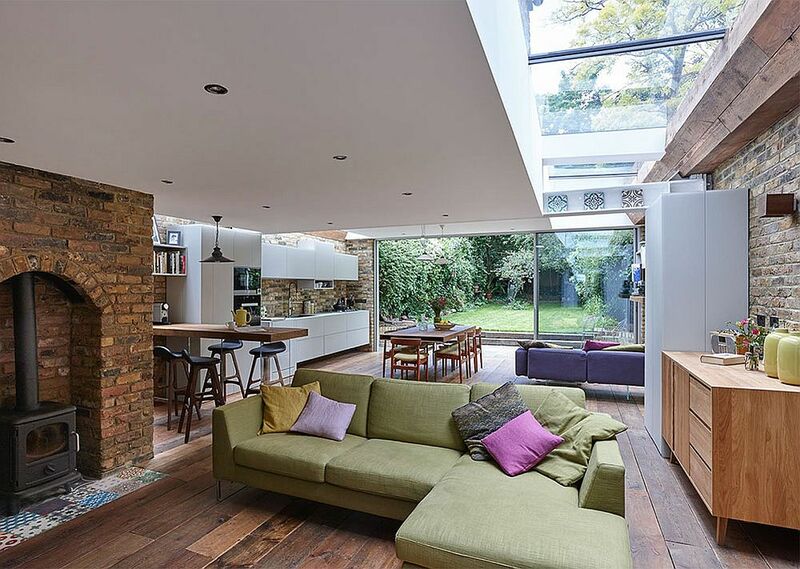 While the large glass sliding doors bring in ample natural light, it is the clever placement of skylights that truly steals the show here. 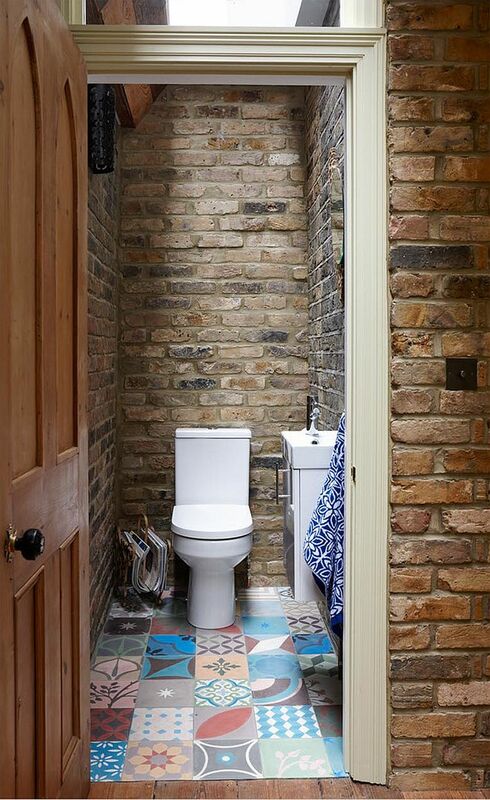 A uniform stream of daylight illuminates every part of the new, extended living space, and even the tiny bathroom with colorful floor tiles benefits from the presence of a skylight!